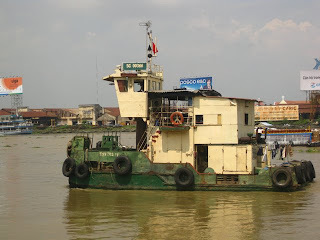 I can't remember which day it was, but Andrew and I decided to take a walk down to the Saigon River. It was definitely not the picturesque beauty we had both visualised. Instead, it was like chocolate milk infested with an abundance of debris and rubbish. 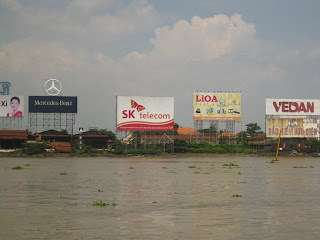 And as you can see from the photograph below, they were definitely keen on the old billboard. 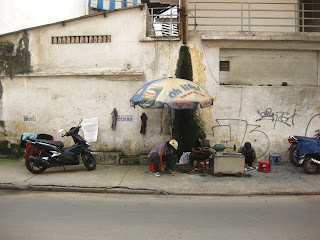 In Vietnam, street sweepers are quite literally that. 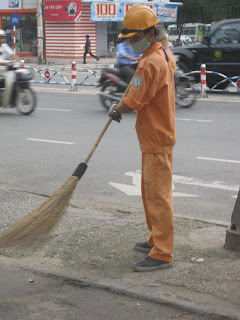 People that use a broom to sweep the streets. 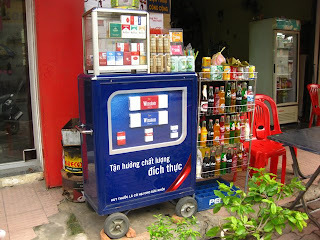 As I mentioned when I first posted about Saigon we didn't do a whole lot. 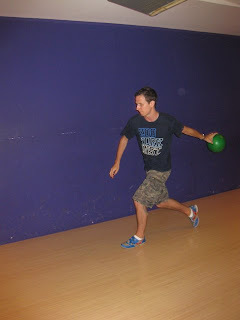 One thing that we did venture out to do was bowl! 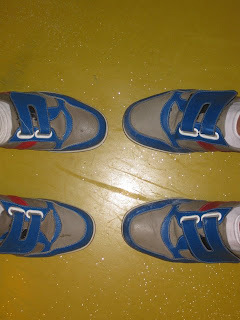 Apart from the fact it seemed that our lane was jinxed with ongoing technical issues it was a lot of fun. Me getting my backside whooped! 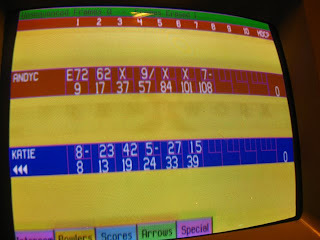 I did make a bit of a comeback at the end though.